It is interesting to contemplate a tangled bank, clothed with many plants of many kinds, with birds singing on the bushes, with various insects flitting about, and with worms crawling through the damp earth, and to reflect that these elaborately constructed forms, so different from each other, and dependent upon each other in so complex a manner, have all been produced by laws acting around us. 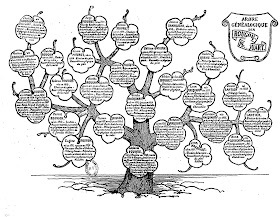 These laws, taken in the largest sense, being Growth with reproduction; Inheritance which is almost implied by reproduction; Variability from the indirect and direct action of the conditions of life, and from use and disuse; a Ratio of Increase so high as to lead to a Struggle for Life, and as a consequence to Natural Selection, entailing Divergence of Character and the Extinction of less improved forms. This extract is taken from the final paragraph of Charles Darwin’s The Origin of Species (1851). It is perhaps the most famous nineteenth-century description of the implications of evolutionary theory — the interconnectedness of all living things and the inescapable importance of our genetic inheritance, yet still the potential for variation from what has come before and the relationship between death and extinction and survival. Emile Zola suggested that an alternative title to The Fortune of the Rougons (1871), the first in a 20-novel cycle involving the Rougon-Macquart family, might be Origins. The novel deals with the emergence of this multi-branched family in the fictional town of Plassans (based on Aix-en-Provence) at the nascence of the Second Empire, Louis-Napoleon’s coup d’etat in 1851. 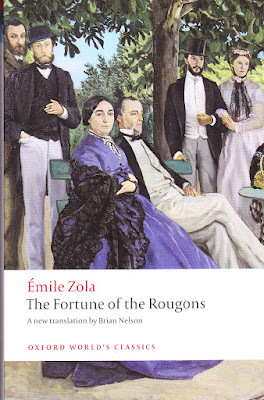 In keeping with his Naturalist preoccupations, Zola traces the origins of the Rougon-Macquarts’ hereditary weaknesses — their cowardice, greed and susceptibility to nervous attacks or mental illness — that will form the basis of the nineteen later novels. In The Fortune of the Rougons, the Rougon portion of the family rises to pre-eminence in the chaos of social unrest, but only through spilling the blood of others — rivals, random strangers and, of course, relatives. The thick vegetation and the eerie stillness of the old cemetery can still be seen and felt in this lane, where the walls are covered in moss and the ground seems like a woollen carpet. On the hottest days you can feel the warm, voluptuous breath of the dead rising from the old graves. Around Plassans there is no spot so exciting, more alive with emotion, so heavy with warmth, solitude and love. It is a wonderful place for lovers. When the cemetery was being cleared the bones must have been piled up in this corner, for even today people feeling in the grass with their feet often kick up fragments of skull. In the hour of her agony, in the terrible struggle between death and her sanguine nature, she regretted her virginity. Silvere, as he bent over her, understood the bitter tears of this passionate girl. He heard the distant cry of the old cemetery bones; he recalled their caresses and their burning kisses in the night, by the side of the road; he remembered how she had thrown her arms around him, yearning for his love, but he had not understood, and now he was letting her go forever, a virgin, grieving at the thought of never having tasted the deep pleasures of life. [He] felt a surge of anger, a sudden desire to go on living. It was the last revolt of his blood, just for a second. It is too little, too late. Silvere is not enough like his uncles to survive and second later he is shot, his ‘skull burst open like a ripe pomegranate’. But the strip of pink fastened to Pierre’s buttonhole was not the only splash of red that marked the triumph of the Rougons. A shoe with a bloodstained heel lay forgotten under the bed in the next room. The candle burning at Monsieur Peirotte’s bedside, on the opposite side of the street, shone in the darkness with the lurid redness of an open wound. And far away, in the depths of the Aire Saint-Mittre, a pool of blood was congealing on a tombstone. 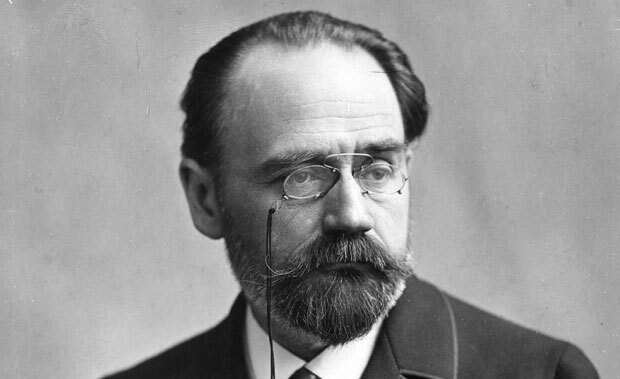 What nineteenth-century novel would you like to see the Secret Victorianist read next? Let me know — here, on Facebook, on Google+, or by tweeting @SVictorianist. I like your blog title and this Zola series interests me. I discovered Anthony Trollope not long ago and am engaged in reading his novels, and hope to read all of them.